Aimtec’s LED drivers are offered in a wide range of Output Power and Output Voltages. This gives the opportunity to use them in a “stand-alone” configuration or connected in parallel. To increase the Output Power by connecting 2 or more converters in parallel. To provide redundancy and to ensure that the system remains functional should a single LED driver fail. Ideally, the modules should be connected in parallel as shown in Figure 1. In the parallel configuration illustrated, the total output power is shared by the drivers. 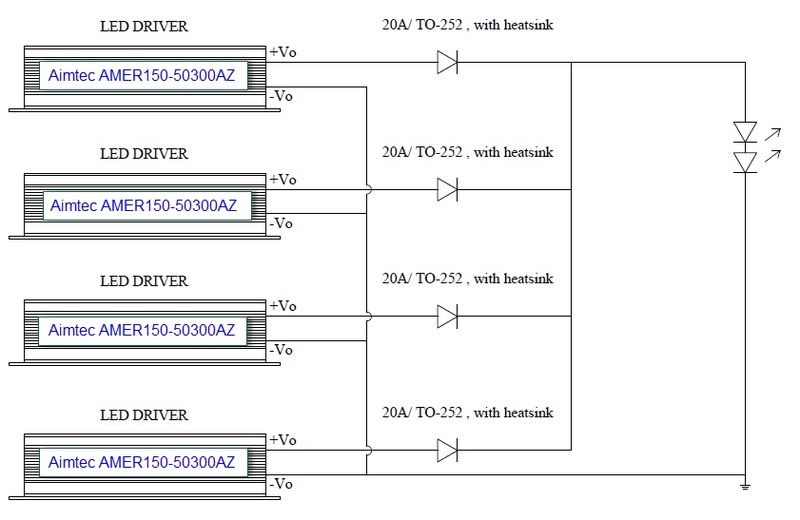 Figure 1: 4 AMER150-50300AZ LED Drivers in Parallel configuration, with 20A Diode for circuit protection. Example shown, 50V Constant Voltage LED Drivers in Parallel produce 12A Current, total power 600W.